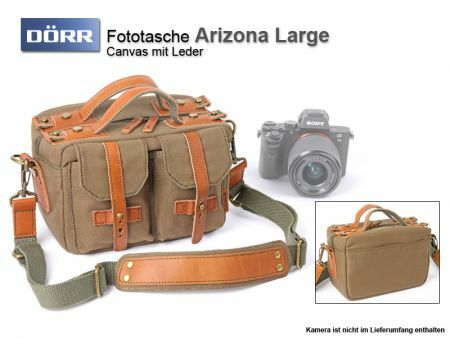 The Dörr Arizona photo bag in vintage design is made of strong canvas. The applications to the bag, the handles and straps are made of genuine leather. The outer pockets offer enough space for photo accessories such as Memory cards, batteries, filters. The padded interior has a variable division of cotton fabric. The shoulder strap is provided with an anti-slip coating. 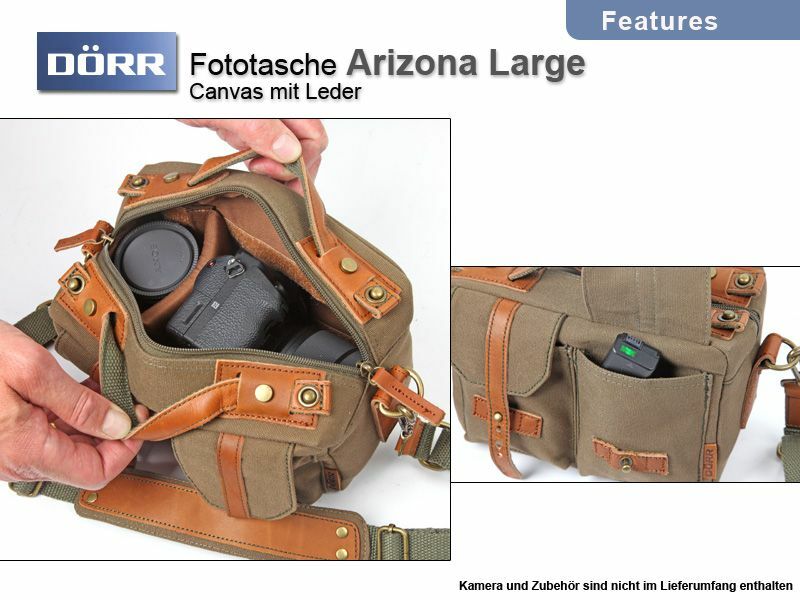 The bag is suitable for all mirrorless system cameras such as the Sony A7 series. 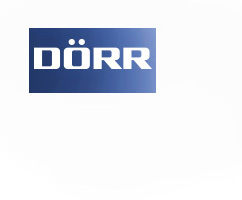 This Product was added to our catalogue on Wednesday 05 August, 2015.